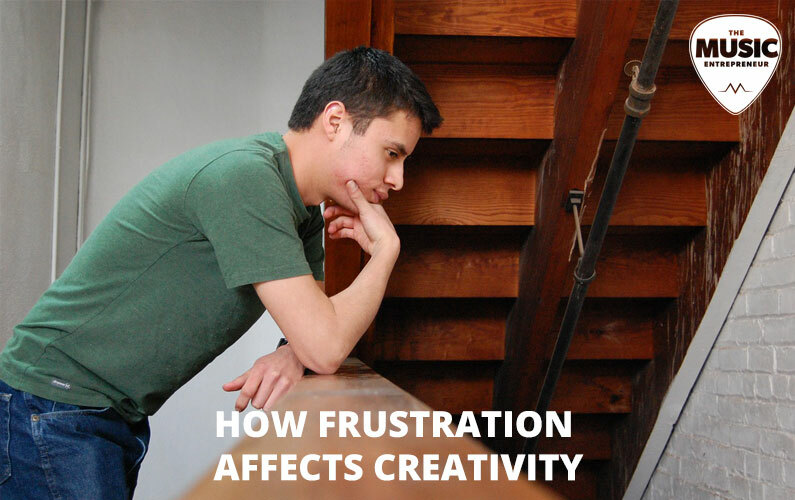 Have you ever felt frustrated in your creative efforts? What causes you to be exasperated? Has frustration ever stopped you from moving forward in your art? 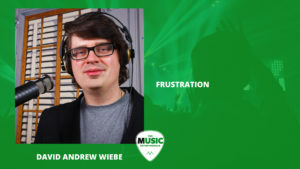 In this episode of The New Music Industry Podcast, I explore why we become frustrated, turning weaknesses into strengths, and how past pains can stop us from moving towards joy. So, as you know by now, we’ve been looking at my upcoming book Flashes of Elation. My first book was called The New Music Industry, and in it, I looked at the current shape of the industry and what it means to be a musician in this age. In my upcoming book, Flashes of Elation, I’m going to be looking at creativity from a variety of different angles and covering different topics, such as inspiration, motivation, jobs, spirituality, and so on. Pre-orders for the book close on June 30, 2017. If you don’t claim the pre-order, you will miss out on some great bonuses. Today we’re going to get into a segment of the book called frustration. Just know in advance that this isn’t necessarily the finished product, but it will give you an idea of what this chapter will be like. So, let’s get into frustration. As I sit down to write this chapter, I am positively frustrated. And that’s probably the best time to write it, because I’m normally a very easygoing, carefree guy. I wouldn’t say that I never experience frustration anymore, but I don’t feel it as often as I used to. Why do I feel frustrated right now? I feel like half of my day has been wasted, and that’s never a nice feeling. I like to make the most of the time that I have. I like to tick items off of my to-do list so I can move onto the next thing. I like being able to complete more than I set out to in a day. I guess I might be a bit of an overachiever. Today, I’ve been trying to move one of my websites over to a new domain name. This is a fairly routine procedure in my industry, and not something that should be taking hours to complete (except for the downloading and uploading of files). I’m not even trying to move the site from one host to another, which should make it all the more routine. But there are a couple of problems – one is that this particular site is hosted with a different webhost than my other sites. Most backend dashboards are practically the same across the many hosts that exist, but this one, for whatever reason, confuses the hell out of me. Another is that I’ve used the host’s live chat support four or five times in the last couple of days to try to get my issues worked out. As soon as I figure out one problem, another seems to crop up. Perhaps tired from having to talk to me (some crazy guy), a couple of my chat sessions were “unexpectedly” terminated before any resolution was reached. Frustration is an outgrowth of things not going the way we thought or hoped they would. I once had a business called Academe Design. I can’t think of a period in my life in which I was more frustrated than during the 9 years I was running it. I would work on graphics and get frustrated. I would work on websites and get frustrated. And keep in mind that this is what we did professionally – it’s what people hired us to do. It’s something I knew a lot about, but I kept hitting snags in my attempt to complete projects and upgrade my skills. To offer a bit of context, at the time, web design was a lot like the video (filming, editing, etc.) industry is today. New developments were happening on a daily basis, and if you didn’t keep up, you risked falling behind in the industry. As you can imagine, that’s not great for business. I remember a time when a visitor to our site noticed that our website was still built on HTML in a time when CSS was being used as the primary tool for design and layouts. He even sent us a CSS version of the site. Ouch. I had no idea how to do that. Because of the frustration I’d experienced in that business, I was almost certain that I was never meant to get into design, and couldn’t understand why I had gotten into it in the first place. Now, don’t get me wrong – I still don’t consider myself the consummate graphic or web designer today. But that’s where a good chunk of my time goes. I produce a lot of websites, and the graphics that I put on those sites are usually my own. I don’t often get frustrated working on those things anymore. I’m pretty sure I wouldn’t be able to do it if I got worked up every time I logged into WordPress. Had I remained in frustration, I’m sure that I would have never gotten to this point. I would have given up, and I probably wouldn’t still be working on websites today. I still get paid to work on a lot of those projects, too. But trust me, there were plenty of times when I wanted to throw my laptop against the wall. So just because you feel frustration doesn’t mean that you picked wrong. It might be the opposite. In general, we don’t become frustrated about things we don’t care about. Think carefully about the wounds from your past. Let’s say, for example, that someone said your nose was ugly. It never feels good to have something like that said about you, but unless you’re an aspiring nose model, it probably wouldn’t take that long for you to get over it. Meanwhile, if someone told you that your art was crap and that you’d never make it… That would hurt, wouldn’t it? That’s because you care about your art. This example may not resonate, so just think of something that seems utterly insignificant to you, and contrast it with something that you hold close to your heart. There would never be any need to be offended if we didn’t care about anything. It’s because we care so deeply about some things that we are vulnerable to insult, criticism, and perceived mistreatment. It’s when people push our buttons that we get upset. When people say that your greatest weaknesses can turn into your greatest strengths, I think this is exactly what they mean. It’s not that you’re weak now, and in some far off time you’ll be stronger. It’s that your weaknesses already are your strengths. It’s just that you’ve been hurt in that area of your life, and again, that’s because you care about it. If you didn’t, why would you be hurting? Frustration can happen with or without people, and in my experience, can even occur while you’re working on something you know you’re passionate about. Maybe it’s just that you know you can do better. Maybe the project isn’t turning out how you expected it to. And maybe, just maybe, there’s something deeper at work – like spiritual opposition. One of Steven Pressfield’s most known books is The War of Art. We don’t often equate art with waging war, but that’s really what it is, isn’t it? It’s waging war on our own limitations, follies, and frustrations. Pressfield names something very close to what I just described as spiritual opposition. He calls it resistance. But whatever you call it, it exists. But let me bring this back to you. Are you willing to open your heart once more and take a chance? You’ve been hurt, and this can be difficult to do. But if you step out in faith, you may discover a source of joy you haven’t felt in a long time. No, you aren’t assured safety from the world. You might get hurt again. But your greatest source of pain is likely your greatest source of joy too, and to deprive yourself of that is to kill your creative spirit.